Clicking the icon in the upper right will allow you to jump straight to your Profile page. This page is central to everything about you and everything connected to you in the community. 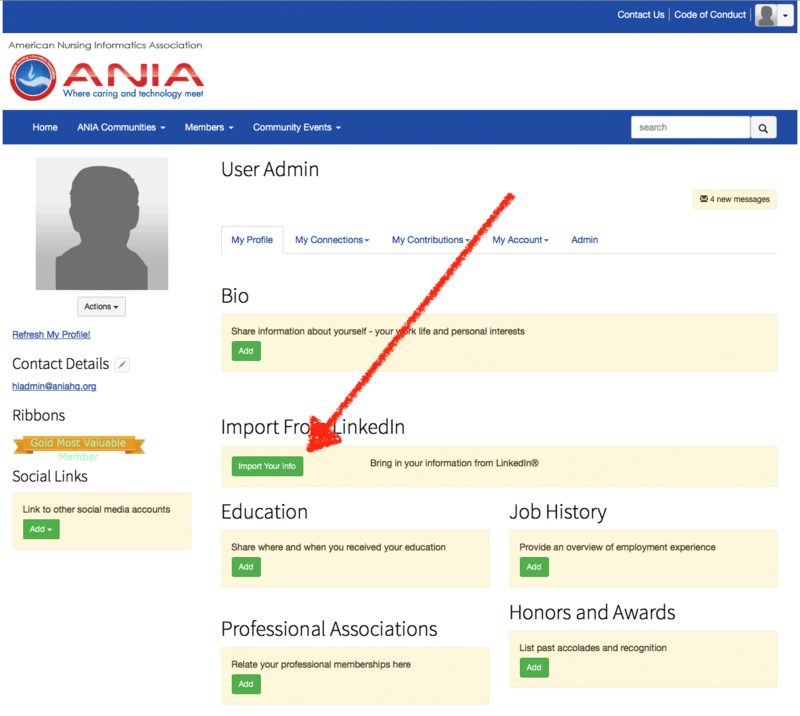 For starters, your key info - name, address, email, demographics - are automatically populated from your ANIA membership record (so, if any of it needs to be changed, you'll change it in your ANIA member info). The easiest way to fill in most of the rest of your profile info is to connect to your LinkedIn account and decide what you want to pull over from there. Then enter your LinkedIn credentials, authorize the connection, and decide what info you want to pull over. Once that's done, you can fill in the rest as you see fit. The more you fill in, the easier it is for your peers to find you and see what you've accomplished. Controlling how much other ANIA members can see when they find you is determined in the next most important part of the profile page - the My Account tab. This is where you set your privacy and email preferences to determine who sees what, what emails you receive, and how often you receive emails from the community. In Privacy Settings, you set the visibility of your information based on the characteristics of the viewer, bearing in mind that only ANIA members can see your personal information by default. 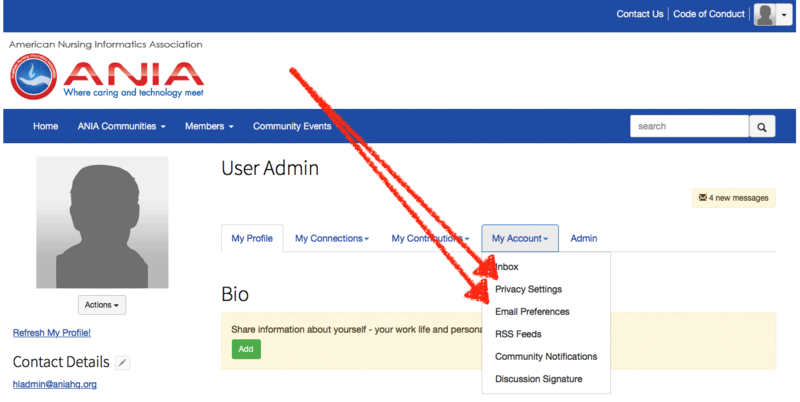 The Email Preferences section lets you decide whether you want to receive community invitations and contact requests from other ANIA members, and click Community Notifications to set your delivery preferences (including the E-list) to the desired frequency - Real Time, Daily Digest, or No Emails. You can also select Plain Text (sent in real time) if your typical reader cannot handle HTML emails. You now know the basics to making the most of using the ANIA Community.